Let me start off by saying that it has always been my dream job to work in an adult toy store. I might just do that when I retire! This book was super-fast and cute. It made me laugh and I didn't want to put it down. Joey and Mick are just adorable, and my only complaint was the book’s ending felt rushed, I wish it was a little longer I was having so much fun reading it. Barbara lives in Sydney, Australia, with an ever-changing cast of housemates and a hive of bees. In her spare time, she can be found binge watching the latest drama series, wandering around comic book shops, or hitting people with foam swords at her local LARP game. She is a fan of all things quirky and queer, and loves writing stories which reflect that side of herself. 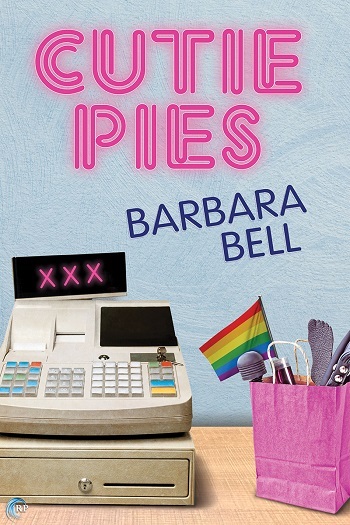 Reviewers on the Wicked Reads Review Team were provided a free copy of Cutie Pies by Barbara Bell to read and review.